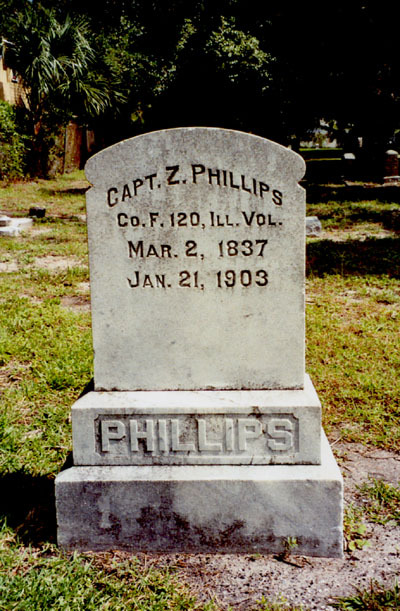 Gravestone of Zephaniah Phillips, 1837-1903. Zephaniah Phillips' grave is in Roser Park Cemetery [formerly Greenwood Cemetery] in St. Petersburg, Florida. The cemetery is between 10th and 11th Avenues and Martin Luther King St. So. [9th St.]. His wife, Mary Pierce Phillips, is supposed to be buried in this cemetery, but we did not find her gravestone there. Photograph taken October 7, 2004.